Punkrockers AS WE GO from Cologne, Germany will release their new album \'Stumble & Stand\' on August 19, 2016. Inspired by good music and even better friends Björn, Sebastian, Maurice, Thomas and Thomas unite the experience of centuries, hundreds of live shows and a lot of enthusiasm in their sound - you can hear that in every single second. 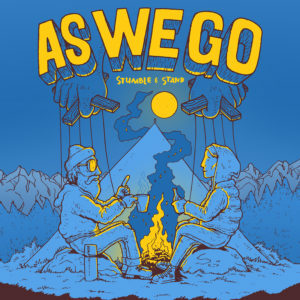 Punkrockers AS WE GO from Cologne, Germany will release their new album \'Stumble & Stand\' on August 19, 2016.